The news of Shahid Kapoor suffering from stomach cancer had started doing the rounds of the internet which made his fans extremely worried about his health condition given the shocking revelation of Sonali Bendre, Irrfan Khan and veteran actress Nafisa Ali's stage 3 cancer. A couple of days ago, a report stated that Shahid Kapoor was diagnosed with first stage stomach cancer. The news had then started doing the rounds of the internet which made his fans extremely worried about his health condition given the shocking revelation of Sonali Bendre, Irrfan Khan and veteran actress Nafisa Ali's stage 3 cancer. However, the reports of Shahid Kapoor suffering from stomach cancer are far from truth. A member of Shahid's family has rubbished the reports and called it baseless. "log kuchh bhi kaise likh sakte hain? Aakhir is khabar ka aadhar kya hai? Is tarah ki afwaahein phailaane ko kis tarah se jaayaz tthehraya ja sakta hai?" (How can people write just anything? This news is based on what? Spreading rumors like these is not acceptable)," the family member told ABP news. 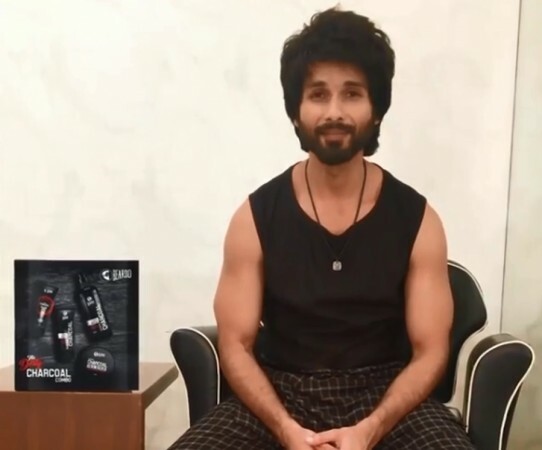 Shahid Kapoor's manager Akanksha has revealed that the actor was amused to see how fake reports about his health were being spread on social media and laughed it off.